Dub reggae hip hop outfit Echo Drama will be hitting the main stage at Blenheim Festival this weekend and causing a wonderful ruckus. The nine-piece band from Melbourne will introduce South Australia to their unique musical fusion as we introduce them to the beautiful surroundings and fare of our Clare Valley. 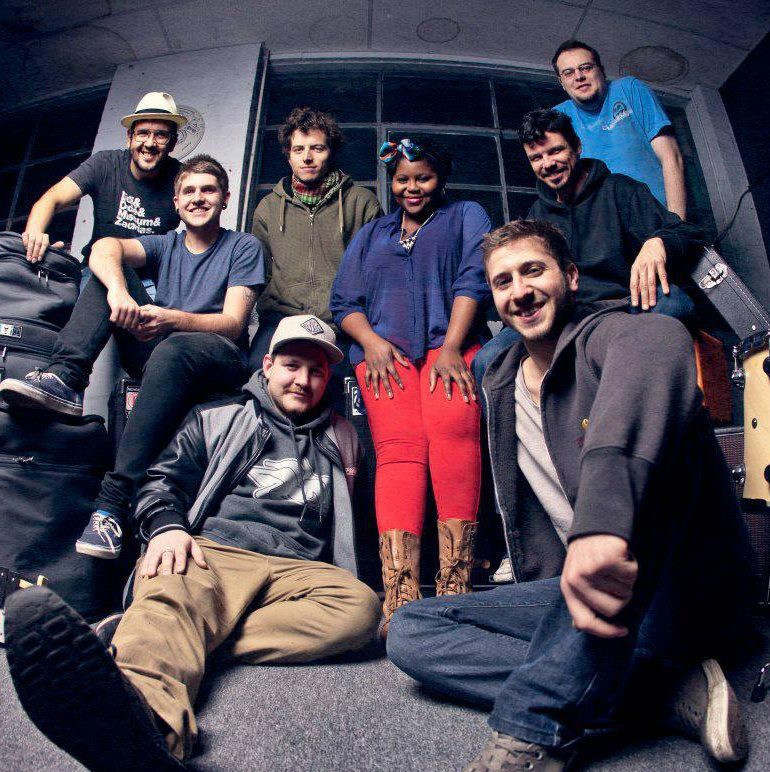 Thando Sikwila (vocals), Alex “Sinks” Sinclair (vocals), Jeremy Schiftan (drums), Steve Phillips (keyboards), Duncan Schmoll (guitar), Stephen Lane (bass), Cam Stark (trombone), Jay Scarlett (trombone) and Dorian Broomhall (trumpet) are first timers to SA and drummer Jeremy says they are thrilled to be on their way over. “It’s our first time in South Australia so that will be cool. It’s also nice we’re playing a late spot. We’re a real festival band and we’ve done quite a few over the summer,” he says. As well as looking forward to sampling the great beers BlenheimFest has to offer, Jeremy says he’s also keen to check out our live music scene. “Shaolin Afronauts are at the top of my list. And Timberwolf, his name’s been around a bit at the moment. Z-Star and the internationals; it’s nice to have international bands you haven’t seen before so it’ll be good to check them out. I didn’t know a lot of the bands on the bill because I think a lot of them must be South Australia based, but I’m looking forward to hearing the South Australia scene because I haven’t had much exposure to it,” he says. Echo Drama was born three years ago from an idea Jeremy Schiftan had to play reggae music; since then, the band has grown and evolved into the urban roots, new ragga sound it is now. “I’m a song writer and guitarist so I had material I was really desperate to play. I had been drumming in other bands but always wanted to play this kind of music. I was looking for opportunities and realised the only way I was going to get them was if I put together a project myself,” he says. The group have released a debut EP, Bury the Weapons which is available to purchase, and Jeremy says there is an album on its way, eventually. “We haven’t started the album, but we have a lot of material for it. There are probably about nine songs at the moment that we know we want to put down and the idea is to write three or four others. I guess being a band for three years and we’ve often done two-set shows, we’ve probably got about 22 songs in our repertoire. We only put down five songs in that first EP but naturally, as the years go by, you don’t want to record everything you’ve ever played and some songs have lived out their full life on stage,” he says. After they play BlenheimFest, Echo Drama will be heading into Adelaide to play a gig at Casablabla on Saturday 4th April. Jeremy says they’ve heard great things about the venue, the vibe and the pizza. “Our trombone player played at Casablabla last year with his band Frankie Wants Out. I’ve heard it’s a pretty consistent dance vibe so it will be cool. We’ll roll in pretty early from Blenheim, check into our hostel, dump our gear at the venue, maybe get around the city during the day to have a look, have a pizza dinner at Casablabla and then we play a midnight set,” he says. Posted in Community and Family, Festivals, Music, What's on in Adelaide and tagged Adelaide, Blenheim Fest. Bookmark the permalink.